Eddie Peng Yu-Yan, Ni Ni, Shawn Yue Man Lok and Oho Ou starred in the Emperor Motion Picture WU KONG (NG HUNG JUEN), which will be released in August. As the representative work of internet literary that turns traditions upside down, WU KONG will thoroughly shake up the existing images of JOURNEY TO THE WEST. Peng Yu-Yan played the lead Wu Kong. He looked down upon everything and went against the world. 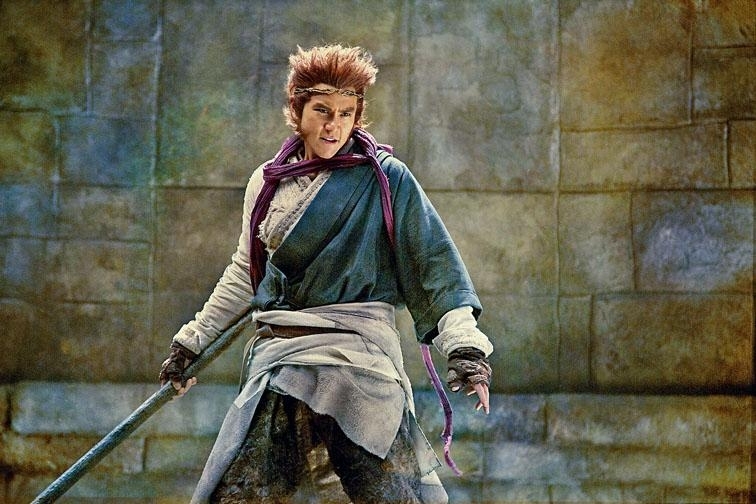 Yue Man Lok played Yang Jin, whose life was full of helplessness from knowing the secret of life. Ni Ni's character Zi was very likely a mix of characters Yao and Zixia from the original work. Director Derek Kwok Chi Kin revealed that each character was filled with even richer and more complicated value in order to create a "new world" that would be different from past JOURNEY TO THE WEST films.